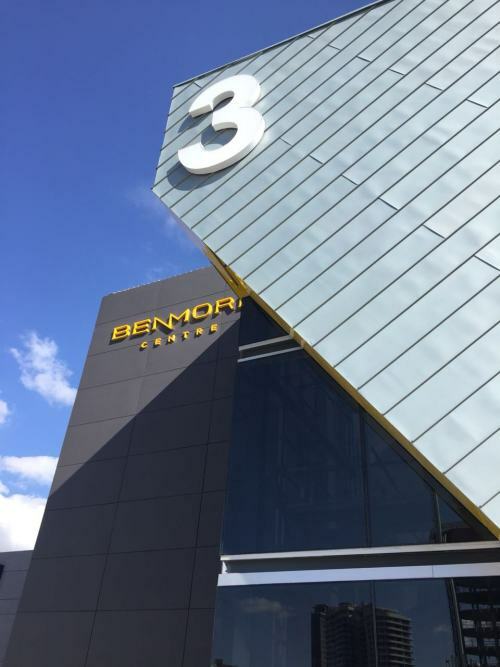 Nestled in the heart of Johannesburg’s world-class shopping and dining hub, Sandton, Benmore Centre has always displayed the very best and ease of shopping experience. With its roots deeply embedded within the Sandton central business district (CBD), it portrays its significance and importance to the surrounding environment through its heritage and architecture. 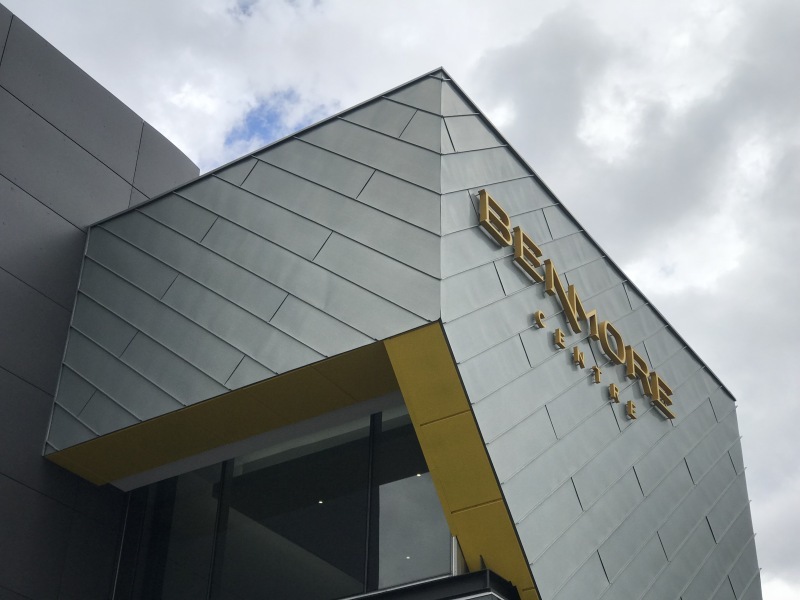 With over 21 000m² of gross lettable area, Benmore Centre’s contemporary design creates a cosmopolitan atmosphere attracting indulgent and sophisticated shoppers. Designed by SVA International Architects, the building illustrates an assortment of cladding materials juxtaposed alongside each other, creating a sense of textural variety which amplifies interest. The use of Rheinzink as the feature cladding on focal points and entrances enables the elements to have strength, class and sophistication. The craftsmanship of the material adds a customised, bespoke appeal. Rheinzink is a zinc, copper and titanium alloy specifically developed for the building industry because of its long-lasting, durable and low-maintenance properties. 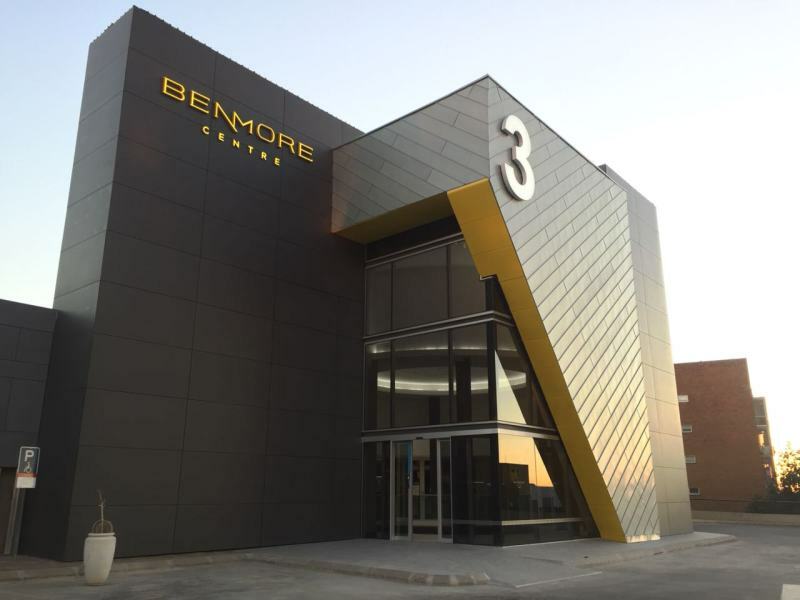 To complement the national availability of the Rheinzink roofing, facade cladding and water drainage systems, the company’s South African office offers a comprehensive support service, including technical assistance on application technique and specifications for planners and installers.